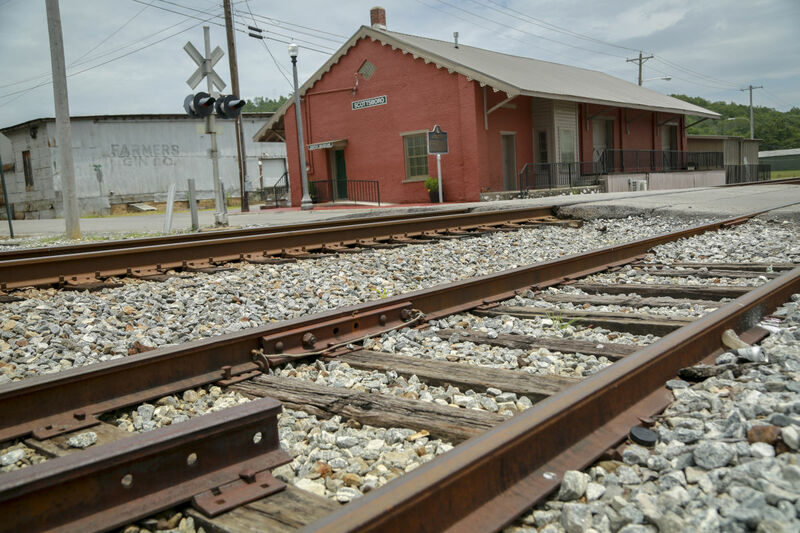 The Scottsboro Freight Depot is one of three remaining pre-Civil War depots in Alabama. 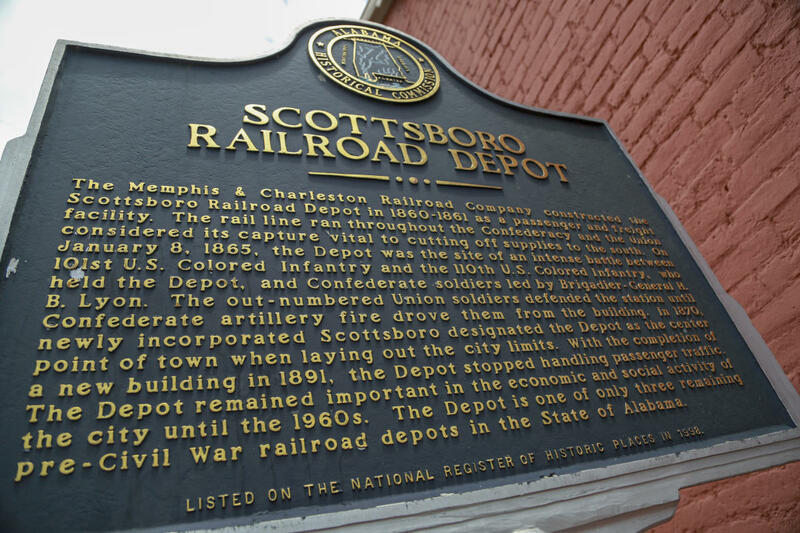 Built by the Memphis and Charleston Railroad in 1861, the Scottsboro depot saw active service for 132 years. 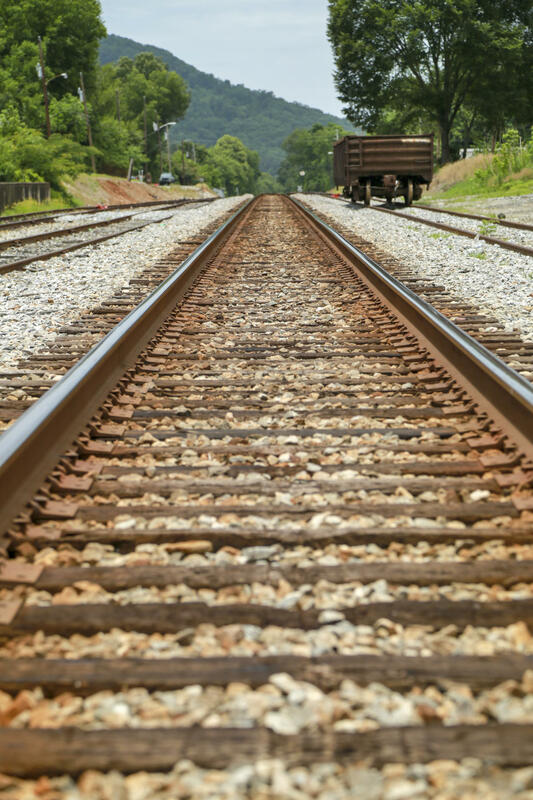 On January 8, 1865, Union troops defended the building against siege by Confederate infantry and artillery. Damage from the skirmish is still visible. Hours: Fridays, 10 am to 2 pm. Location: Corner of N Houston and E Maple Streets.